Home / Health / Enhancing Low Carb Diets: How can we make low carbohydrate diets more effective and healthier? Enhancing Low Carb Diets: How can we make low carbohydrate diets more effective and healthier? As a book whose point is enhancing the low-carb diet program, Stephen Holt’s Enhancing Low Carb Diets provides readers with so much more. The book is anchored on Dr. Robert Atkin’s study on low-carb diet, also known as Atkins Diet. 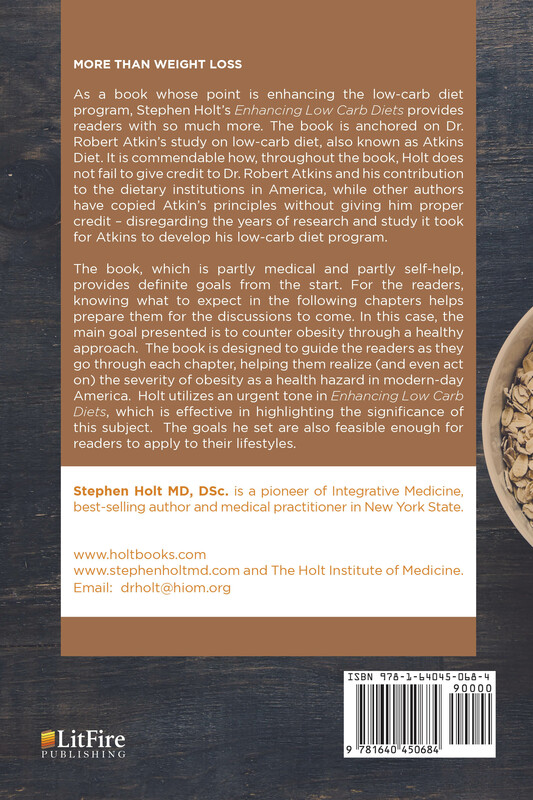 It is commendable how, throughout the book, Holt does not fail to give credit to Dr. Robert Atkins and his contribution to the dietary institutions in America, while other authors have copied Atkin’s principles without giving him proper credit disregarding the years of research and study it took for Atkins to develop his low-carb diet program. The book, which is partly medical and partly self-help, provides definite goals from the start. For the readers, knowing what to expect in the following chapters helps prepare them for the discussions to come. In this case, the main goal presented is to counter obesity through a healthy approach. The book is designed to guide the readers as they go through each chapter, helping them realize (and even act on) the severity of obesity as a health hazard in modern-day America. 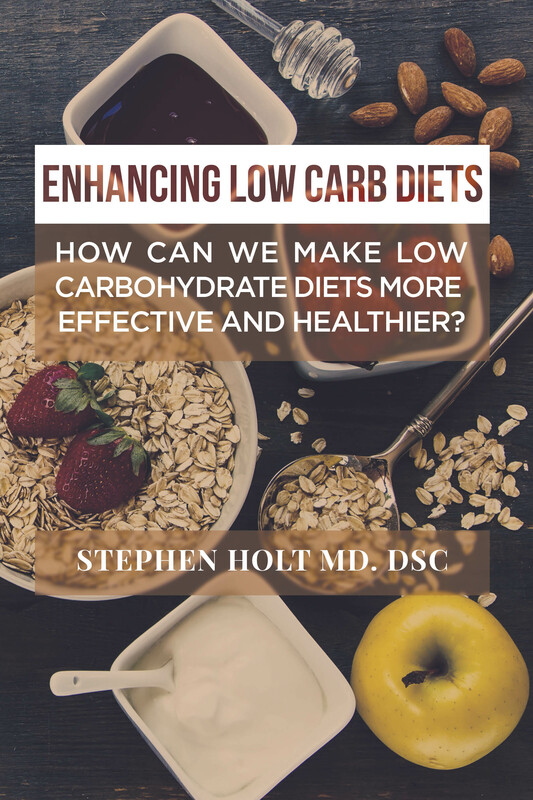 Holt utilizes an urgent tone in Enhancing Low Carb Diets, which is effective in highlighting the significance of this subject. The goals he set are also feasible enough for readers to apply to their lifestyles. Stephen Holt MD, DSc. is a pioneer of Integrative Medicine, best-selling author and medical practitioner in New York State.